Kevin Forgard is an instructional designer at WIDA, working in the Professional Learning department. His role involves working with WIDA Professional Learning staff to design and develop eLearning materials for WIDA clients. His design approach is about applying teaching and learning innovations and pushing distance education boundaries to create the most engaging and accessible learning experience. 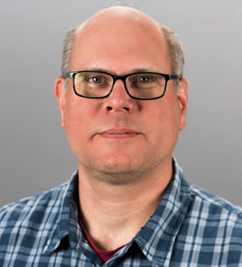 Kevin had worked for University of Wisconsin Colleges Online prior to joining WIDA, where he consulted with faculty to develop online courses and trained instructors on teaching and learning. He has also worked for Bristol Community College in Fall River Massachusetts, where he led the instructional design initiatives of a Title III grant project focused on improving student persistence and retention in key gateway courses. Kevin graduated from Syracuse University’s School of Education – Instructional Design, Development, and Evaluation department with a Master of Science Degree. Additionally, he has a Master of Arts and Social Science degree from Linköping University through the Adult Learning and Global Change program.